The number of students at the VUB is growing constantly. As a consequence we need more student homes, class rooms and a place for leisure and culture. The ambitious building project XY answers this need. 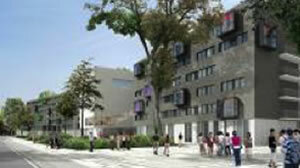 It includes no less than 650 modern student homes. Its state of the art class rooms are equipped for new learning models. 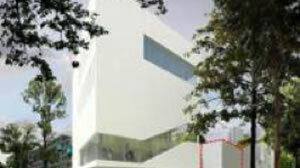 A new concert hall and exhibition room will act as a cultural epicentre on the campus. Total surface of the building complex? 33 100 m². 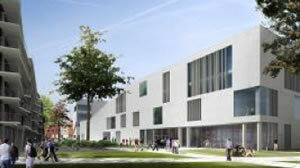 With the new project, VUB will create added value for everyone visiting or staying at the campus. Its unique structure and location unlocks the campus and creates an open link between VUB and its surroundings. The innovative concept of the complex XY comes courtesy of Conix RDBM Architects. The winning design consists of an integrated and sustainable design that connects the campus with the city in different ways. 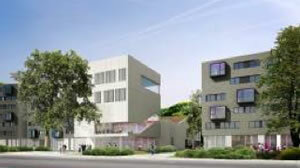 The student houses are located on the Triomflaan and offer a view on the city and the campus. Colourful and playful accents on the facade emphasize the kitchens and living areas, visualizing and projecting the student life to the city. A green central boulevard runs through the heart of the XY complex. A lot of green is present on our Brussels Engineering, Sciences & Humanities Campus. We will preserve this as much as possible by making sure the different zones stay connected and opting for an open implantation of the buildings. The buildings are even placed further away from the street as to create extra green areas. A main boulevard wil create a green artery running from the Triomflaan to the heart of the campus. The green areas will be ecologically managed and the use of pesticides will be banned. Pedestrians and bike-riders are advised to use entrance 7,8 (Triomflaan) and 9 (Generaal Jacqueslaan).